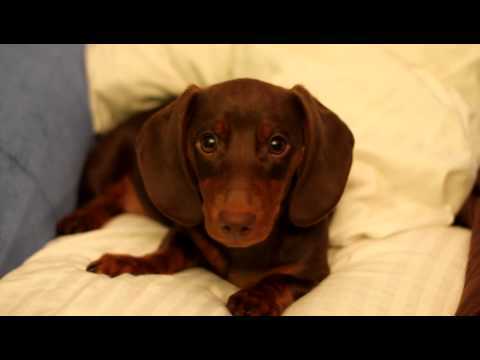 The Dachshund is one of the instantly recognizable dog breeds in existence today. Dubbed adoringly as “Wiener” dogs, the Dachshund deserves a place in the hearts and minds of people everywhere for their charm, affectionate nature and courage. Although the Dachshund looks funny and cute at the same time, they were bred to be brave hunters. The name Dachshund is German for “Badger Dog”. Yes, these wiener dogs hunted fierce badgers. You wouldn’t be able to tell how courageous these dogs are if you base your judgement primarily on looks alone. Dachshunds have a very distinct elongated physique with drastically shortened legs. This makes them perfect for going into tunnels and flushing badgers out. Dachshunds are also equipped with large paddle like paws to help them dig rapidly into the soil. To make sure they are fully protected, they have loose skin that resists tearing as they squeeze through little nooks and crannies as they hunt for their prey. Dachshunds are very affectionate and will bond with one person over other people. They also tend to congregate amongst themselves instead of mixing in with other dog breeds. Dachshunds are evenly tempered and can get along well with other animals as long as they are properly socialized. Dachshunds do have a strong prey drive and will chase down anything that catches their attention so make sure you introduce this dog properly to other pets especially the smaller ones to reduce that risk. Like any purebred dog, the Dachshund has a lot of genetic disorders to contend with. Two of the issues you have to be very vigilant about these dogs are patellar luxation (kneecap slippage) and spinal column disorders (due to its lengthened spine). One way to avoid this is to control their diet to stave off any issues brought about by obesity. Regular exercise is recommended to ensure the development of lean muscles all throughout the Dachshund’s body as well as to keep his mind busy and away from depression. 1 Dachshund puppies for sale near you. When looking for Dachshund dog puppies for sale, this breed may be referred to as a weiner dog. This is a very popular breed and you should not have a problem finding a dog of this breed available for sale or for adoption. The Dachshund puppies for sale originated in the country of Germany in the early 1600s. The Dachshund was bred to hunt small game such as rabbit or badger. The word Dachshund in German means badger dog. The Dachshund is a long-bodied, short-legged breed. 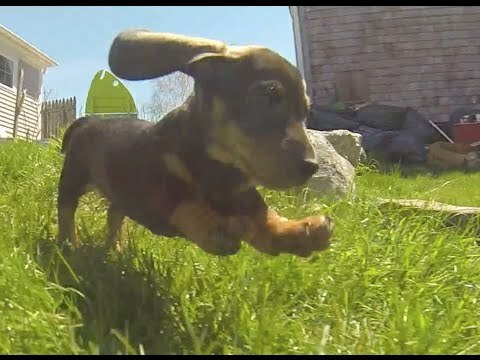 The Dachshund puppies for sale come in different sizes, standard, miniature, and toy. The American Kennel Club (AKC) only recognizes the Standard and Miniature Dachshund. The Toy Dachshund is recognized as a breed in Europe. In addition to these three sizes, there are three different coat types: short-haired, wire-haired, and long-haired. The coat colors of the puppies for sale come in a wide variety of colors. Solid coat colors include: black, red (varying shades of red from a strawberry blond to a deep auburn; chocolate brown, tan or fawn (referred to as Isabella); cream (ranging from golden blond to platinum), and blue grey. Bi-color coats may be any combination of black and tan, chocolate and tan, chocolate and cream, black and cream, blue and tan, or blue and cream. The coat of the Dachshund may also be brindle, piebald, or dapple. 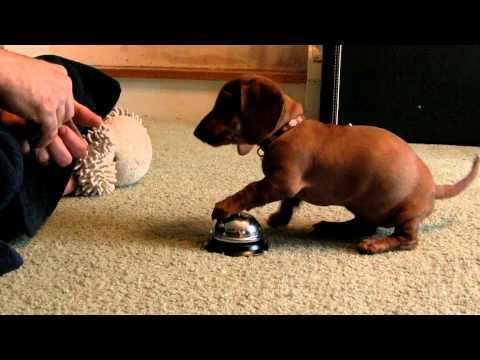 The height of the Dachshund averages 8 to 11 inches and weighs over 11 pounds. 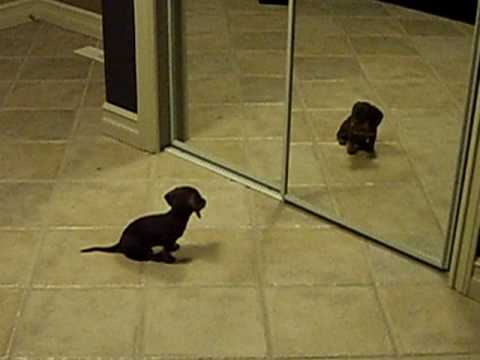 The Miniature Dachshund averages 5 to 7 inches in height and weighs less than 11 pounds. The Toy Dachshund is less than 12 inches in height and weighs approximately 8 pounds. The average life expectancy is 12 to 15 years. The Dachshund is prone to the following health issues: spinal disc problems, heart disease, diabetes, and urinary tract problems. The breed has a tendency to become lazy and overweight. An overweight Dachshund runs a higher risk of developing spinal disc problems due to the added strain to the back. The grooming requirements for the Dachshund puppies for sale depends on the coat â€“ the short coat takes the least amount of care, the wired hair coat requires more care than the short coat, and the long coat requires the most grooming care. When you see Dachshund dogs puppies for sale and make the decision to make a Dachshund a member of your family, you will find the Dachshund to be lively, curious, clever, affectionate, and amusing. 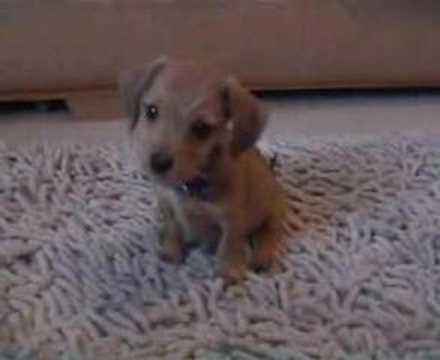 The Dachshund is part of the hound family but have many characteristics of a terrier. The Dachshund is very devoted to their family and travel well. This breed gets along well with children with appropriate supervision. The puppies for sale is fairly active indoors and does well living in an apartment. For a small dog they do have a great amount of energy and stamina and should be walked daily. The Dachshund, of any size, is very determined and bossy and will try to take over the house and boss their owner if they are indeed allowed to take over. The puppies for sale is considered slightly difficult to train and to housebreak; therefore, good behavior needs to be enforced, phrased, and rewarded during the training process. You must be firm as the puppies for sale will win over your heart with their big brown eyes and charming personality. This is a nice way to make your life easier and save time searching for your Dachshund dog’s puppy for sale. Once your email alert is put in place, all you have to do is check your emails regularly! You can create several email alerts, should you wish to do so.